Vintage film noir gloriously restored. Baroque plot complications engulf a footloose Irish sailor (Orson Welles) on a Caribbean cruise with a crooked lawyer and his sultry wife (Rita Hayworth, at the time Mrs Welles). 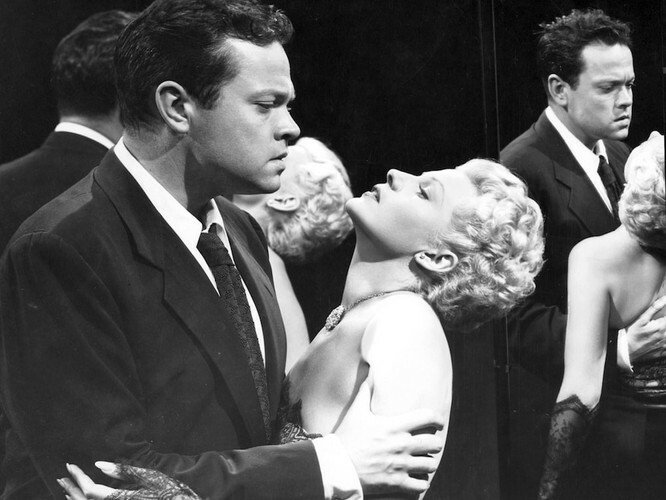 Director Orson Welles, USA, 1947, 87 minutes, HD, B&W, PG violence. Go to CFS website to view film trailer and for more information about the film. Doors open at 7pm and membership can be purchased via the website or on the night. Metered street parking is free after 6pm. The CAG underground carpark is currently free for the first hour, then $1 per half hour.